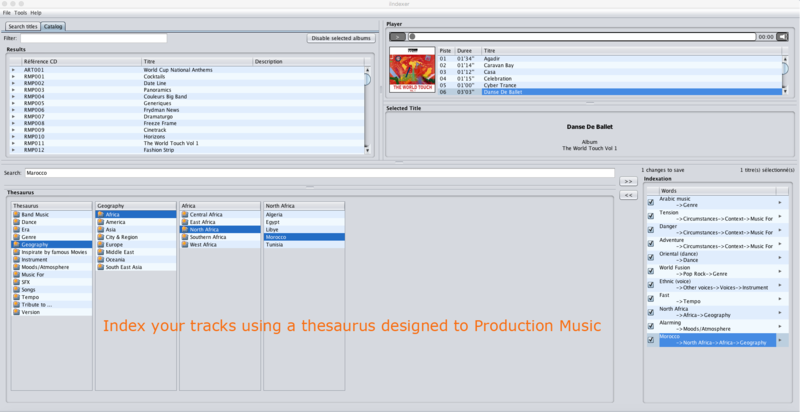 A software tool designed for professionals in charge of indexing musical content. As catalogs are nowadays exchanged to a greater degree between partners worldwide, and index terms are not always pertinent or adapted to the terminology of different search engines, we have created ilndexer to solve these issues. 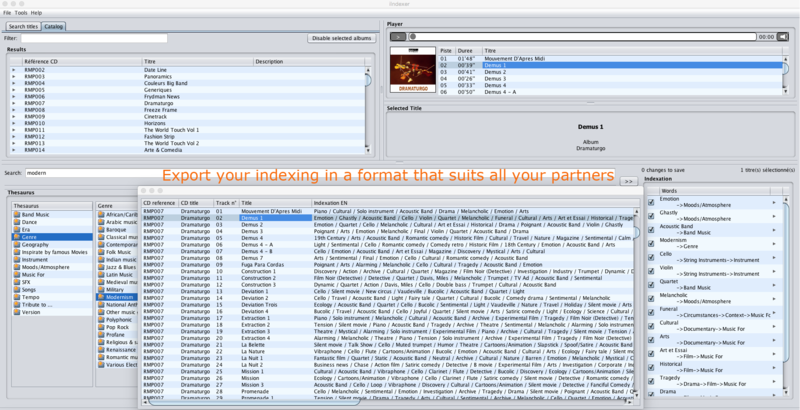 Export your catalog in line with your partners’ language. Create matching rules between catalogs in order to automatically convert the indexation of the catalogs you represent. 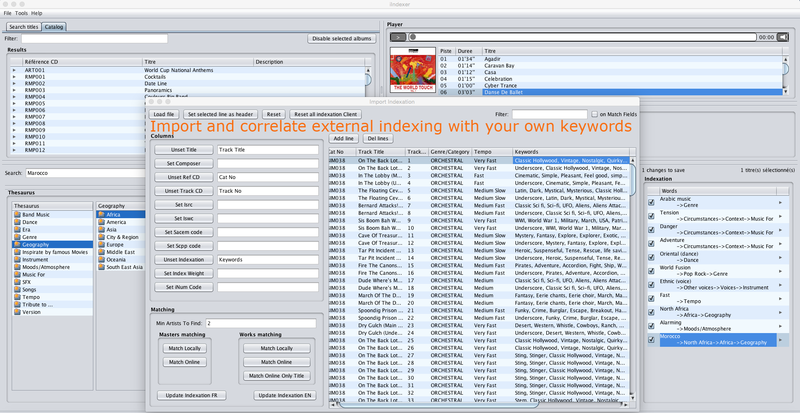 Manage complex indexation including several subcategories. Assign weight to each key word.